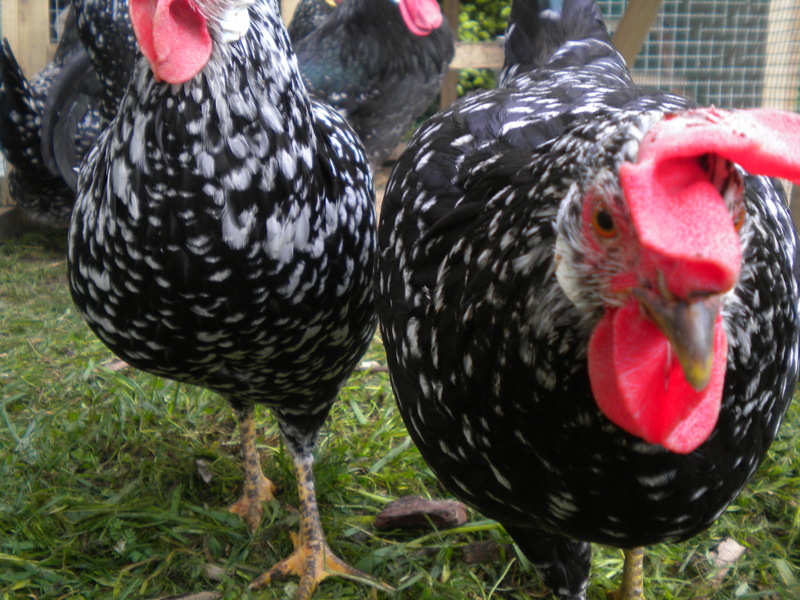 Ancona chickens have a distinct plumage color pattern – black ground color mottled white. On the ideal bird, one out of every five feathers is tipped with white. As with other mottled colored breeds of poultry, there is a tendency for the mottles to increase in size and quantity as the chicken ages. 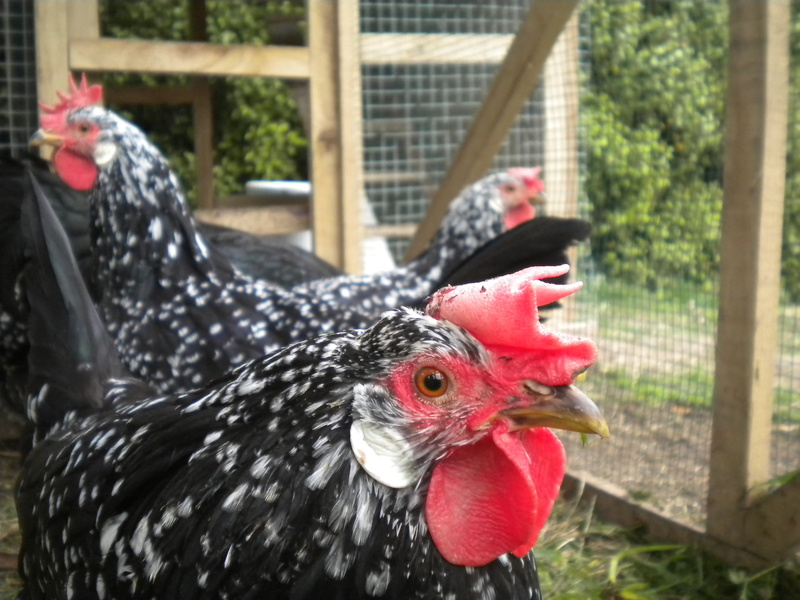 Ancona chickens have yellow legs, often with a few black mottles; reddish bay eye color; yellow beaks with black stripes on the upper mandibles; and white ear lobes. The breed takes its name from Ancona, Italy, where for centuries such chickens were bred. 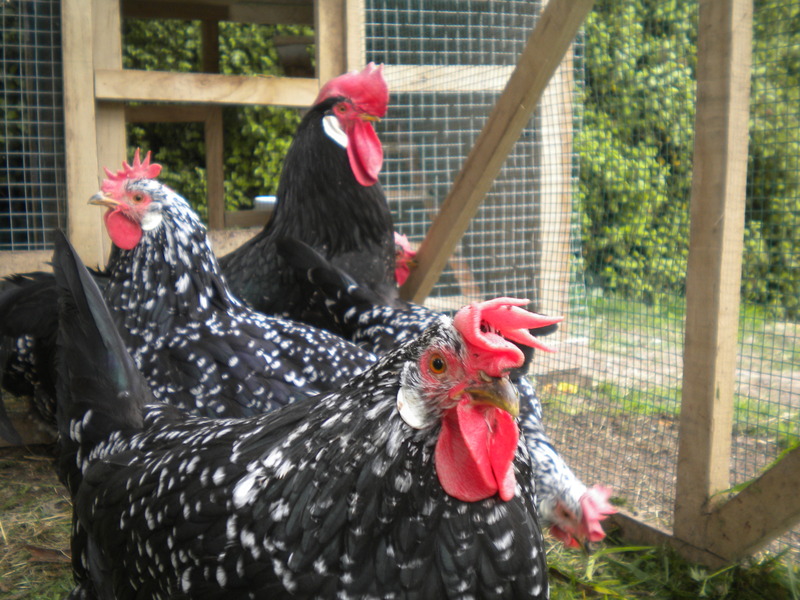 The first Ancona chickens arrived in England about 1850. The breed was maintained there from that time until a second importation was made in 1883; from 1883 onward the breed gained some popularity. By about 1888 Ancona chickens from England arrived in America. The first importation was made by Francis A. Mortimer of Pottsville, PA. In 1906, H.C. Sheppard of Berea, OH, also imported Anconas and they soon became a well-known and popular race of chickens. The breed has many similarities to Leghorn chickens, and has even been referred to as Mottled Leghorns by some poultrymen. They are the same size as Leghorn chickens and nearly the same shape. However, they differ in that the back on Ancona chickens slants downward from shoulders to tail and shows a slight angle where these two sections of the body meet. While the Leghorns may be referred to as “flighty”, Anconas go a step farther and may be referred to as “pheasant-like.” Both breeds are non-sitters and excellent layers of white-shelled eggs. Ancona chickens are very hardy, fertile, and prolific. They can be a bit wild in their habits – easily flying to avoid potential dangers and ranging over a great area when foraging. They stand frost and snow quite well and will surpass Leghorn chickens as winter layers. The chicks hatch a canary and black in down color, feather and grow quickly, and pullets will often begin laying at five months of age. Ancona chickens were recognized by the American Poultry Association as a standard breed in 1898 in the single comb variety, largely on the strength of their popularity in England, and in 1914 in the rose comb variety. Males weigh 6 lbs and females weigh 4.5 lbs. We would like one Ancona pullet when they are ready. Hi do you have any pullets available at the moment plse. Thanks for the inquiry. I sell them at $2.50 per egg. How much for a Hen? Thank you for the inquiry. I sell pullets at $50 each. Are you selling them? How much for a hen? 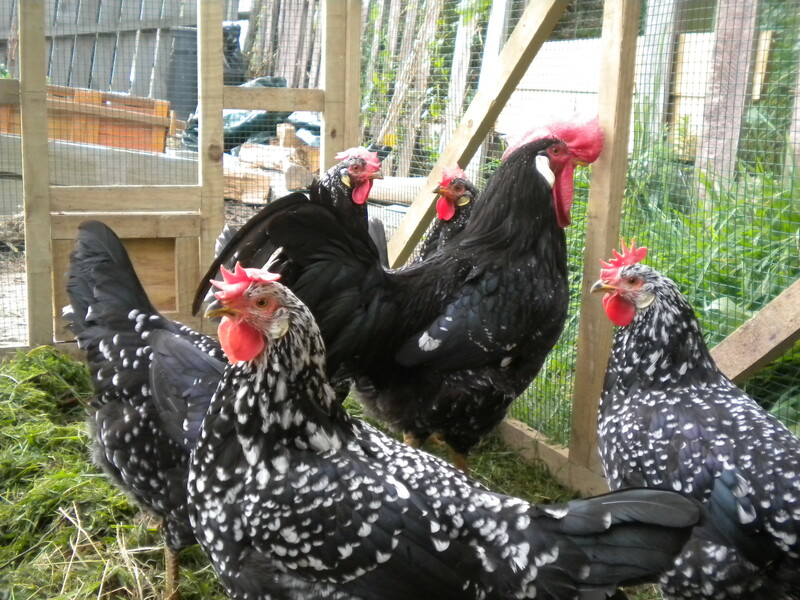 Yes – I do – I have some point of lay Pullets that I sell for $60 each at present.